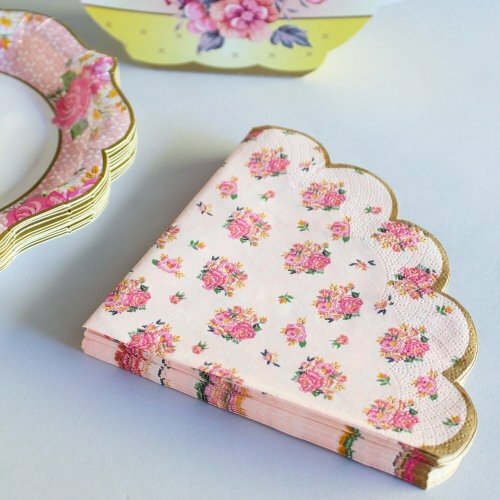 Finish your vintage wedding or bridal shower look with these tea party scalloped napkins. With a subtle print of pink roses with a scalloped, gold rimmed trim, these napkins look almost too pretty to use! Trust us, your guests will love the detailing, and these will all the more complete your vintage or tea party inspired event.